Another photographic gem (and low-res copy) from the collection of French researcher, author, archivist Jean-Yves Lorant. 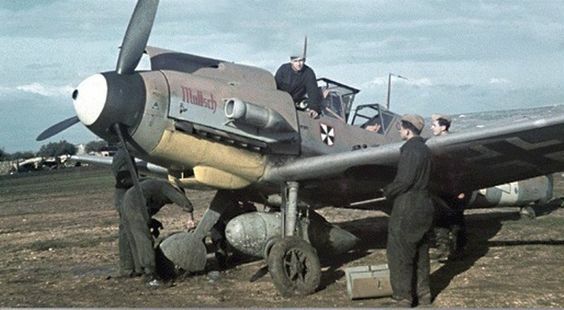 Lovely view of an unfortunately unidentified Sturm pilot of IV./JG3 seen at cockpit readiness in December 1944 or January 1945 at Gütersloh. This Sturmbock is still fitted with the armoured canopy glass known as Scheuklappen or 'blinkers' and may be a machine from Oskar Bösch's 14. Staffel although any other indications/guesses would be most welcome. 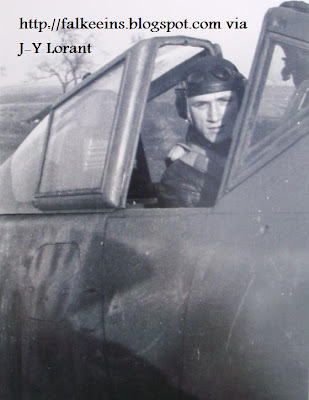 Feldwebel Josef Brandt of 13./JG3 is another candidate but the only photo of this pilot published hitherto in Jochen Prien's Chronik is too over-exposed and indistinct to allow a positive identification.